Recently I wrote about the appalling corruption in the British House of Commons with Members of Parliament (MPs) running their offices in total disregard to the employment, health & safety and equalities laws they have voted on to the statuette book for the rest of the country to abide. Sadly, the situation in the upper chamber of the British Parliament, the grand and imperious sounding House of Lords, is no better. Despite Westminster's claim to be home to the «Mother of all Parliaments», the House of Lords stands at best as an undemocratic eye sore, at worst, an abortion of a legislature. Unlike the elected House of Commons, which farcically masquerades under the pretense of democratic elections and democratic accountability, most members of the House of Lords are appointed on the patronage of the three major Party Political Leaders in British politics. They are either Party apparatchiks and functionaries who have spent their entire careers working in their Parties respective political bureaucracy sucking up and kowtowing to their masters in the hope of ingratiating themselves with the political powers that be and one day being nominated for a seat in the Lords, or they have «bought» their Peerage through generous to Party coffers or indirect financial back-handers to Party Big-Whigs. Take for example Mr Alistair Cooke (not to be confused with the legendary and famous Alistair Cooke of Letters From America), a perfect illustration of pure political cronyism and patronage if ever there was one. Cooke was ennobled by the current Prime Minister David Cameron at the end of 2010, pompously re-naming himself Lord. He had loyally served his Tory political masters over the course of four decades as a backroom Conservative Party apparatchik. His career was largely limited to churning out Conservative Party propaganda as the Deputy Director of something erroneously called the Conservative, the Tory Party's political dirty tricks machine, where he groomed future Tory MPs. Aside from this, his only other jobs were an undistinguished and obscure academic career at Queens University Belfast in the 1970s while he studied for a PhD at that second division institution and then a tenure as Director of a body which promotes private education for those children whose parents can afford to pay the extortionate fees in Britain's deeply polarised, two tier educational system. Some may rightly ask what Lord Lexden's great public service contribution was, apart from helping to smear the Conservative Party's electoral opponents and championing apartheid in British education, to warrant such an unimpressive and narrow individual elevation to the Upper Chamber of the British Parliament. Well, it just so happens he helped get the current Prime Minister his first job in the Conservative Research Department, with the help of David Cameron's connections at Buckingham Palace, which the then Director of the «Research» Department, Robin Harris, has since regretted. For this Mr Cameron rewarded his political patron, who helped set him on his political path, with a form of his own political patronage, a seat in the House of Lords, where Cooke/Lexden wasted no time in introducing legislation to benefit close friends of his in avoiding inheritance tax such as the Utley sisters. Conflict of interest? Indeed, the Prime Minister David Cameron has stuffed the House of Lords full of Conservative Party functionaries and Tory lieutenants, rewarding them for their assiduous loyalty and favours done for Mr Cameron in days gone by. The latest list of Peerages – which brazenly included a deluge of Tory party donors, former MPs and the lowest rung of the ladder in the Westminster political food chain, so-called «special advisers» – handed out by Cameron has only served to confirm this. Cameron has appointed new members to the Lords at a faster rate than any Prime Minister since Life Peerages began in 1958. These include 102 Tory Peerages since he took office in May 2010. Not only does Party Political patronage, cronyism and money reign supreme, there are still some Lordships, 92 in number, whose only claim to a seat in the House of Lords is who they were born to, known as the Hereditary Lords, the old British class based principle of «birth». Despite claims that Britain is a supposedly secular democratic state there are 26 «Lords Spiritual» i.e. 26 bishops who sit representing the established Church of England. 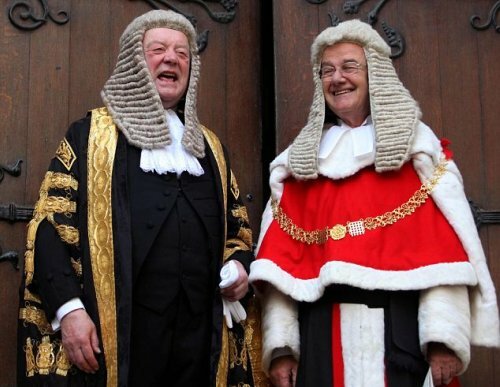 The rest of their Lordships are known as «Life Peers», currently 775 in total. While the House of Commons has a defined 650-seat membership, the number of members in the House of Lords is not fixed, and currently the total membership of the House of Lords makes it the largest Upper Chamber in the world, even larger than the Indian Upper Chamber. 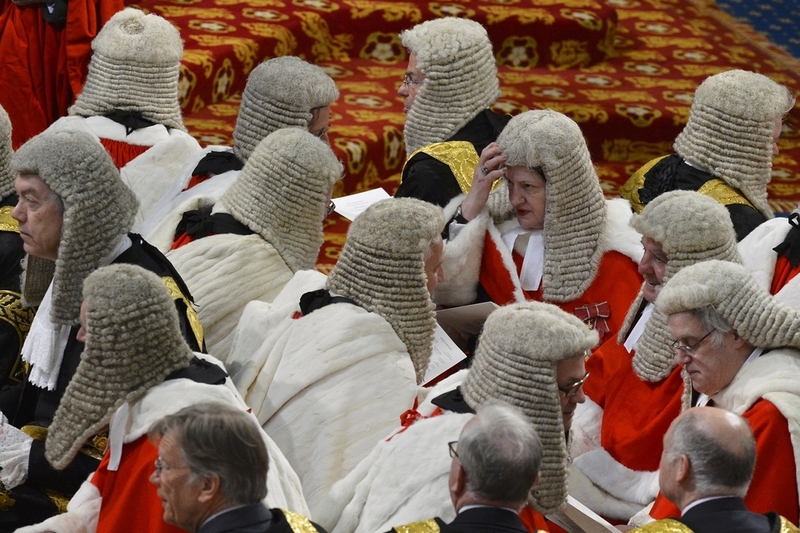 The cost to the British taxpayer towards the upkeep of their Lordships is staggering. Members of the House of Lords can claim £300 a day simply for clocking in and then clocking off from their place of work. All one needs do is show up at the Chamber of the House of Lords for five minutes and then go home while pocketing this £300 per day expense. Take the disgraced Peer, a certain Lord Laird of Artigarvan. Laird was caught on camera in the summer of 2013 by undercover journalists from The London Times and BBC who were posing as business lobbyists. He offered to arrange for Parliamentary questions to be asked in return for a fee of £2,000 a month. Baron Laird also said he was prepared to help the undercover reporters set up an All Party Parliamentary Group, “bribe” colleagues to ask Parliamentary questions and influence debates on behalf of a client paying him a retainer. For this Laird was suspended from the House of Lords for a brief period of four months. He had already been the most expensive Peer during the 2008/2009 session claiming £73,000 and had run up taxi bills claimed for on public expenses while serving as Chairman of the publicly funded and nonsensical Ulster-Scots Agency in excess of £2500. Then, once his brief exile in the political, or more precisely, financial wilderness of four months was over, he was back with his snout firmly in their Lordships publicly funded trough without any shame claiming the maximum allowance given under the ridiculous Lords expenses «rules» which came to a grand total in excess of £37,000 once again earning him the dubious distinction of the most expensive Peer in Parliament. Disgruntled and hard pressed members of the British public suffering under the lash of the Conservative Government's stringent austerity program might ask, why was Laird not chucked out of the House of Lords altogether? Previously only Lords who have been sentenced to more than a year in jail could be kicked out and while legislative changes have made it easier to expel members of the House of Lords, this can only occur through a vote by their Lordships themselves, akin to turkeys voting for Christmas. The new law is also not retrospective. How convenient! The corruption, cronyism, conflict of interest and scandals engulfing the House of Lords is a stain on British «parliamentary democracy» and the House of Lords brings shame upon the United Kingdom. It is high time to abolish this grotesque abomination of an Upper Chamber once and for all.